If you want to know the secret to lasting happiness and peace then there’s one thing that is required, and that is to keep your life simple. The more complex it is, the more your time and energy gets diverted to handling the complexities of your life. It’s this very struggle to survive that wears people out and causes pain and misery. That’s a great question. In reality it depends on a few things because we are all on different paths in our lives and no two people will have exactly the same wants, needs and desires. However, what we do know is that all of us have to breathe to exist. In order to live we have to breathe. This is the simplicity of our lives. If you stop breathing for 2 to 3 minutes, then you’ll die – it’s that simple. It makes sense then, that this very precious act of breathing, that many people take for granted may be a little more significant than most of us realize. For example, did you know that if your breathing is shallow and fast that you will hold onto tension in your body, and you will find it almost impossible to ever feel relaxed or at peace – this is how an anxious person breathes. On the other side of the coin if your breathing is always slow and deep, then it will be almost impossible for your body to hold tension, or get stressed. This type of breathing creates calmness, peace of mind, and a relaxed state in your body. Doesn’t it make sense then that if we can change our physiology through breath control that it might be something worthwhile doing each day? This is the real secret to lifelong happiness and enjoying a calm, balanced and healthy life. If you just learn to get good at breathing for health and vitality, then you’ll be better off than most of the human race who are living a neurotic, hectic and crazy lifestyle. 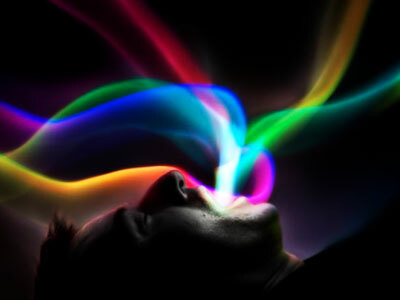 The smoking, the excessive drinking, the addictions, the psychological problems, the breakdowns, the anger, the sadness, and so many more of our physical, mental and emotional challenges could all be averted if youe just learnt to slow down, take control of your breath and simplify your life. Many people that I have coached and counselled are literally addicted to drama. Unless there is some drama going on in their lives, they would not know what to do with themselves. People also get addicted to pain and suffering, but that is a story for another time. Boredom is never an issue if you are happy with yourself. How can you ever get bored when just breathing in, feeling at peace with life, and being happy with the moment you are in is enough. It’s the constant need for ‘more’ or ‘different’ that drives people to do anything to avoid feeling empty or bored inside. My definition of boredom is that you are not happy with the moment you are in. This means that what you are really saying to yourself is that you cannot be happy right now. And if that’s the case, then you can never be happy because now is the only moment there is. Once you understand this behavior and how crazy it is, then you are on the road to happiness. If you can be happy for no reason at all, except that you are alive and you can breathe and appreciate the fact that you are alive, then you will be free from the obvious anxieties that most people live with. You know, it may seem strange that you need to learn how to breathe properly, yet if you have tried to do slow deep breathing that makes you feel 100% connected to every part of your body, then it makes sense to find someone to help. Here’s a simple breath technique to help you get started. To learn more about your breath and how it can transform your life instantly you could always find a yoga school or meditation class where they practise breath awareness. Find a comfortable spot to sit in, it can be a comfortable chair or a cushion on the floor, whatever works best for you. Then, close your eyes and just feel yourself sitting where you are. be aware of where your body is touching the chair and notice any tension you might be holding onto and try and relax it. Now that you are present in your body, take a slow deep breath in through your nose. As you do this, imagine or visualize it moving down your body right to the tips of your toes. It doesn’t matter if you can ‘see’ this or not, it’s okay to just ‘imagine’ this is where your breath is going. Then, once you can no longer take in any more breathe comfortably, then breathe out slowly through your mouth and imagine or visualize that your breath is moving from your toes right out the top of your head. The key here is to let your breath ‘trickle’ out of your mouth as slowly as you possibly can. Do this for at least 5 minutes to start with and work your way up to 20 minutes a day. When you complete this technique, take a moment to lay down and totally relax and let go for a few minutes. You’ll find that you’re entire body will feel lighter, calmer and more energized than ever before. Breath is life and life is breath. Our first act when we are born is to breathe in and our last act when we die will be to breathe out. Treasure your breath and what it does for your mind and body. It is the essence of your life force because without it you would not be here.